Events vary: Fees vary: Please contact me. The popularity of pure-piano has soared. It is simple and elegant, brings people together, stimulates the emotions and enhances any gathering. For almost 20 years, Josh Isenberg has been adding just the right touch of style and class to any special celebration, simple soiree or formal occasion as well as meaningful life cycle events. Creating the perfect musical landscape is Josh's passion. Visit Pure-Piano.Com to see if what Josh does is the right fit for your event! Josh was the perfect enhancement of our lovely cocktail party. He has had many compliments from guests. He was a gentleman, arrived on time, was sensitive to the evolution of the evening. We would enjoy having him again. Hi Susan, thank you for your lovely review and for making me feel so comfortable in your home and allowing me to play your exquisite Steinway piano. I had a wonderful time. Merry Christmas, Happy New Year, and all good things! Musical regards, Josh Isenberg Pure-Piano.Com. I cannot thank Josh enough for his service. He made sure we were all set up for our day and made us feel comfortable with his constant communication. Everyone at our wedding enjoyed the Piano and the music he chose for the day, which we gave him total trust to play as he felt convenient. It was always pleasant talking to him and the day of our wedding he was amazing. THANK YOU!! Absolutely fantastic. Josh played to our group - with Christmas music and all other varieties. Everyone asked who he was and wanted him to never leave. Fabulous evening. Loved having Josh play at our home. It make the piano come alive! Josh delivered the perfect background music to our law office's ribbon cutting and grand opening celebration. He arrived early, was all set-up and anticipated every potential need. We will definitely be using him for future events! Thank you, Josh, for delivering the perfect touch needed for our event. Josh is an extremely talented individual! He was so easy to work with and willing to have others perform along side him. My brother-in-law played guitar and another guest sang several numbers, and Josh was happy to practice with them before the event. Bottom line my parents were thrilled and that was the goal! Hi Lucinda, it was delightful being such a big part of your event! Thanks for having us! Outstanding Piano Musician for Party! After listening to samples of Josh's musicianship online, I thought Mr. Isenberg would be a perfect fit for my family's celebration of my dad's 90th birthday. I then called him and lo and behold, he answered right away. We talked at great length about what I had in mind for his performance and I knew right then that he would be a perfect fit. 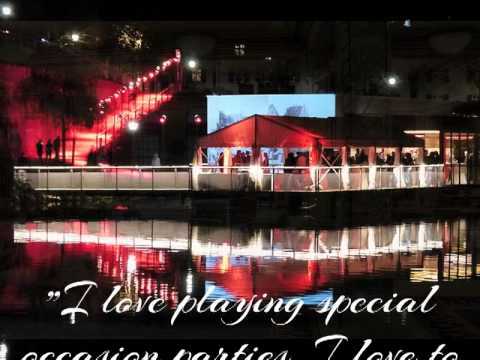 Josh is very personable and strives to please his clients which includes what type of atmosphere he needs to create for the event plus any special requests for music. 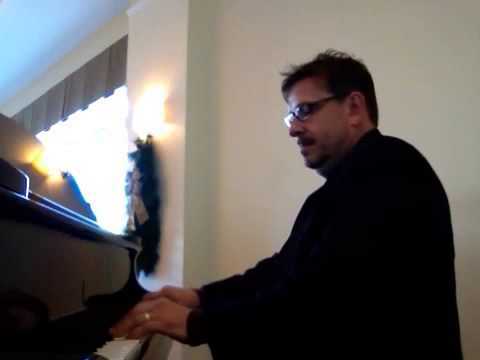 He was very open to providing piano accompaniment to a couple of family members desiring to sing at the party. I definitely recommend Josh Isenberg for any event in need of a piano/keyboard performance. His friendly personality, experience and professionalism will make your party a most delightful affair. Josh was very personable and talented. He did all he could to insure a perfect evening. If you need a pianist, this is your man! Great party! Beautiful family! Incredible friends! Thank you for allowing me to be a part of this evening of celebration! 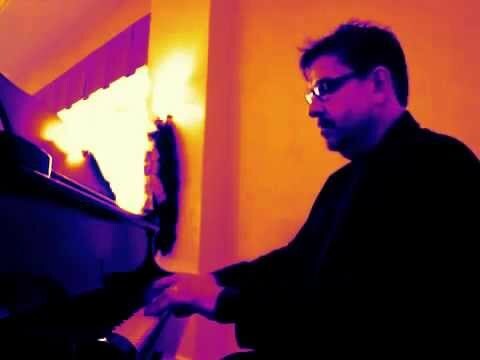 Josh Isenberg, Pure-Piano.com. I have had the pleasure of having Mr. Josh Isenberg of Pure Piano perform for us at our 6th Annual Golden Baby Shoe Awards event in 2015. Our guests, along with our staff, were enthralled by the musical gifts of this artist. Furthermore, the professionalism consistently demonstrated by Mr. Isenberg was matched by his talent, both being extraordinary. I would, without hesitation, recommend Mr. Josh Isenberg as our experience with him was wonderful. He was easy to contact, a pleasure to deal with, and accommodating. We plan to have him again at future events, and I have no doubt that anyone who has the opportunity to work with him in the future would be very pleased. I cannot stress how wonderful it was to hire Josh Isenberg for my parents 50th wedding anniversary. As a surprise we had Josh come into our home and perform while we had a casual home cooked dinner. immaculate job with my personal highlight being his rendition of "Take Five"...Not an easy piece and definitely not dial toned. In addition to his fantastic playing, his easy going persona melded right with my family and their friends, making him seem like "one of us". Josh's prompt arrival, pleasant manner and stellar performance will go down in mine and my parents lives as one of the most memorable nights ever. On the occasion of our 50th Anniversary celebration, we contracted with Josh Isenberg to provide background music during the dinner that was being held in our honor by our daughter in an intimate room in the Hyatt Resort and Spa at Coconut Point in Bonita Springs. That decision was what turned out to be the “icing on our anniversary cake”. Josh provided delightful musical backgrounds for everyone’s taste and we had a wide range of ages attending. One couple confided that they felt very special. They got to the dinner portion early. The man is wheelchair bound and could not attend the earlier sunset cruise portion of the evening. Josh was there and provided the couple with their own private concert to which they were very grateful and commented to me how special they felt. Thank you Josh! Thank you for making them feel special and Thank You for making our evening even more remarkable than it was. On a 5 star rating with 5 being the top, Josh was a 6! Expertise: As far as we were concerned Josh is the master of the keyboard. He took requests and seemed to be able to play whatever was requested. Communication: Josh and I held several conversations prior to the event and were able to establish a rapport that helped set the tone for the evening. He was always attentive and proactive in returning calls and emails and never left me hanging on any point…a great communicator. Professionalism: Just read the comments above as they speak to Josh’s professionalism and dedication to customer satisfaction. Value: Josh provided a fantastic value to our dinner event. Everyone raved about the music provided as being “just right”, non obtrusive and a delight. A great value for the cost paid! Adaptability: This was a 50th wedding anniversary dinner party and Josh adapted beautifully as the music ranged from tunes that were popular throughout our decades. During our recent alumni event at the Hyatt Regency Coconut Point in SW Florida, Pure-Piano's Josh Isenberg provided a wonderful backdrop for our group's multi-generational alumni conversations. The repertoire included multiple genres.Josh proved to be very adaptable when an alumnae requested to play three verses of our "Alma Mater" on his piano. The entire room joined in. It was a pleasure to work with such a professional entertainer. From the start, Josh provided clear and concise communication and followed through with the necessary contractual documents. I would not hesitate to recommend Pure-Piano and Josh Isenberg for any event that calls for a professional pianist. Entertainer Josh Isenberg gets raving reviews! Josh performed for our daughter's wedding and reception at the Ritz Carlton in Naples, FL. Everything was perfect!!! We changed the music several times, Josh was flexible, accommodating and performing exactly to our desires. Josh invited us to his home before the event to give us a taste of his work and to discover our expectations. By asking high quality questions Josh was able to craft and create the perfect musical ceremonial landscape that made our daughter's wedding memorable and magical! I found out at that time that I could play a song for Josh from my phone and he could replicate it on his keyboard within minutes. He was also present for the rehearsal the night before to assure that every detail was met; a testament to his commitment to excellence. He is professional and extremely easy to work with and has a strong desire to perfect the music for each event. Our daughter, the Bride said, 'Josh made the entire ceremony with his music'. I strongly recommend Josh Isenberg for all of your entertainment needs. As a former Event Manager in a large luxury hotel and a luxury club for many years, I have had lots of experience with entertainers of all types. Whenever I had an event that required a pianist, Josh was my "go to" guy. Not only was he extraordinarily talented and easy to work with, he always performed perfectly for each occasion, whether it was a formal event or a casual holiday sing along. Josh clearly enjoys playing the piano and it comes across in his style. No prima donna, just an all-around good pianist, he has great instinct and range and seems to know just the right music to play. Josh should be at the top of everyone's list, when it comes to hiring a talented and reliable pianist. From the first time I saw Josh perform live I knew that his goal was to be in harmony with his music and ultimately with his audience. His professional and personal approach to the event for which he is hired is above par. Detail and communication with the client make the event go beautifully. Improvisation and humor within the moment comes naturally. Thank you, Barry! Without a fan, a performer would play to an audience of none. You are the best fan a performer could ask for. Thanks for all your support, man! And the best pictures ever! Josh is a true musical professional. Very organized and adaptable. He has played music for several of our corporate events and it is always so fun to watch and hear him play. Book him! You can't go wrong! Thank you, Ms. Jacqui, for your generous compliments! These were indeed spectacular events! What an honor and a thrill for me to play such a special part at these gala corporate affairs! When we were taking the company band (called High Risk) to a full 12 piece for the Las Vegas Paris Ballroom event following our IPO, Josh led the really critical musical direction and arrangements. Josh is one hell of a talent and professional in the piano music world. We could not have done the big shows at that level without him. He also played our cocktail hour for over 2000 attendees. Great repertoire! Great style! Playing with this corporate group of musicians was a thrill and a delight! The energy in the room created by 2000 attendees was indescribably awesome! And playing pure piano selections in the cavernous hall in the ballroom was breathtaking! Thank you all for allowing me to be a part of your special evening! I have been using Josh's piano services for two years now and he is phenomenal. He volunteers for a fund-raising event that I organize for the Bonita Springs Assistance Office at Bentley Village, Bonita Springs. He is always very punctual and dependable. He plays very harmonious tunes, and the crowds love him. He is very friendly, and has a great personality. Josh is also a sharp dresser! I would definitely recommend him for any event as I was very happy to be able to use his services. This was great fun and a great opportunity for me to "give back" to the community that has welcomed and embraced me and my piano playing for so many years! Price Range: Events vary: Fees vary: Please contact me. Anyone can expect to enjoy an occasion filled with my eclectic repertoire: Played quiet enough to carry on a casual conversation but robust enough to captivate the listener when their favorite tune hits their ear. What a delight it is to hear so many of your favorite songs and a variety of upbeat and up-tempo selections along with jazz, classical, show tunes, and more. Many won't be able to resist the toe tapping temptation to rise up and dance a few steps. It happens all the time. Expect to have a fun, uplifting, and memorable experience when Josh plays your event. 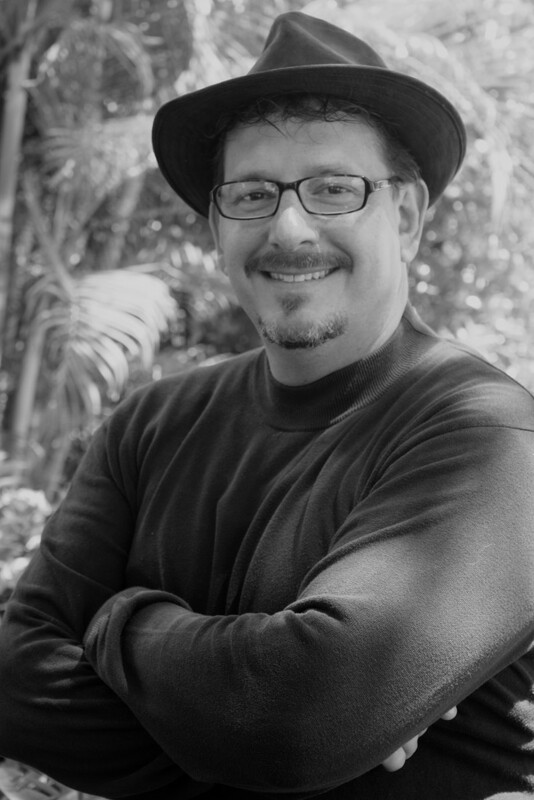 Originally from New York, Josh visited Naples, Florida upon graduating from college in February 1989. As a permanent resident of 25 years, Josh, along with his family, enjoys this part of the country known as “paradise”. Josh, as a pianist, is part composer, part arranger and part performer. His music is so recognizable yet has its own unique color and sound. Josh works hard and has been playing everyday for 40 years. As a third generation pianist, Josh has vivid memories of his Grandmother playing the piano throughout the years although he attributes his inspiration and insatiable enthusiasm for the piano to his father. “I still enjoy working with and learning from my Dad. He’s the master!" Twenty years ago, Dad told me: "The only way to get better is to constantly be listening and learning and to always play with different musicians." Advice I follow to this day. "I've been so fortunate to have met so many amazing musicians and entertainment professionals. Everyone of them has been a "teacher" and has given me something that has enhanced my level of architectural musicianship and how I present a piece of music when I sit at the piano. I am truly filled with gratitude and passion for music and it comes out in my playing." Josh appears throughout the state of Florida at major 4 & 5 star venues playing for weddings, private parties, group and corporate functions, celebrities, dignitaries, and a myriad of estate and country club venues as well. Styles Include but are not limited to: Old standards, Show tunes, Latin classics, Jazz, Classical, Movie Themes for the old and young, Holiday and other special events content. No piano? No problem! Josh has everything necessary to perform at any venue inside or out... on the beach, on a boat, and even rooftop...only limitations are your expectations. "Don't be afraid to ask questions. Trust your instincts" Pedigree: Check the pedigree of the person you are thinking of hiring: Don't be afraid to ask questions: How long have they been playing? How long have they been playing in the area? Do they have a website, YouTube, Facebook, LinkedIn, or any other place that would allow you to sample their content, style and repertoire. Where have they played in the past? Do they take breaks and how does that work? Do they offer music packages or are flexible, creative and special event requests welcome? These questions will help you vet out the pedigree of the person you are considering hiring and put you at ease knowing you have the right match for your event. A great question to ask is: "What traits do you feel are important in a professional musician or entertainer?" Here are my favourite answers: Follows directions well: Well organized: Prepares for the job and is on standby to perform a half hour prior to the time of the event. And lastly, and this is important...great communication skills. Hire someone you feel is truly listening to what it is you are trying to accomplish by having a musician or entertainer at your event. If you want to have a spectacular event, hire a musician who is a spectacular listener. Don't just look for the best player: Remember...some of the best players aren't necessarily the best for your event and someone with the traits to make your event spectacular just may not be the best player in town. Many will do a good job but not all will have ability to "connect" and make your event special and memorable. Don't be afraid to ask questions. Trust your instincts. 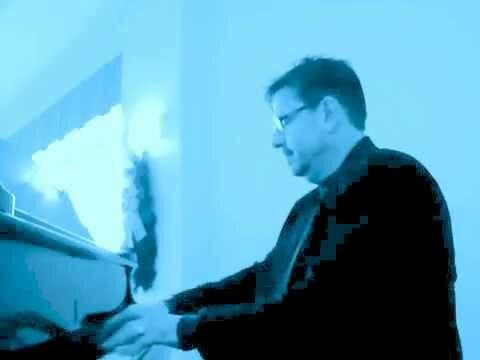 Here is a sample of the over 500 songs I enjoy playing: (5 personalized and special song requests included with all events) Fly Me To The Moon, It Had To Be You, The Shadow Of Your Smile, Here's That Rainy Day, That's All, Autumn Leaves, I Won't Dance, Cheek To Cheek, You Don't Know Me, What A Wonderful World, Girl From Impanema, One Note Samba, Wave, The Lady Is A Tramp, You're Gettin To Be A Habit With Me, Moon Dance, Midnight At The Oasis, Take 5, Masquerade, Put On A Happy Face, "One" From A Chorus Line, NY State of Mind, Arthur's Theme: Selections and medleys from: West Side Story, Phantom Of The Opera, Michael Jackson, Beatles, Pink Floyd Adapted For Piano, Elton John, Billy Joel, Disney and Pixar Themes, "You've Got A Friend In Me" from "Toy Story" and "Let It Go" from "Frozen", for example: My 4 year old daughter keeps me current), Barry Manilow, Stevie Wonder, Frank Sinatra, Michael Buble, and so much more...(10 personalized song requests included with 3 hour events) And when it comes to the holidays, keep Josh in mind for a special Easter or Christmas celebration. And what a great present for Mom on Mother's Day. New Year's Eve?......you better call now! The 5pm to 10pm time slot is perfect. Then let your band take over to ring in the New Year! If more than 1 staging area, artist can provide additional keyboards. Poolside set-up, same staging area and power supply. Beach: Wedding / Corporate / Sunset function, 6 x 6 staging area and power supply. For 200-500 attendees, recommend direct input to house PA system. House grand piano with or without amplification. Acoustic / digital requirements to be determined prior to engagement booking. Flexible, creative and special requests welcome! 10 personalized and special song requests welcome with all events!